Did you know that a man from Whitchurch may have been responsible for planning & building the Pontcysyllte Aqueduct ? William Turner was an Whitchurch architect, surveyor, engineer and furniture designer. As an architect he is thought to have designed Whitchurch Old Rectory and remodelled Combermere Abbey in the early 19th century. Turner also worked with the 4th Earl to design Cholmondeley Castle. 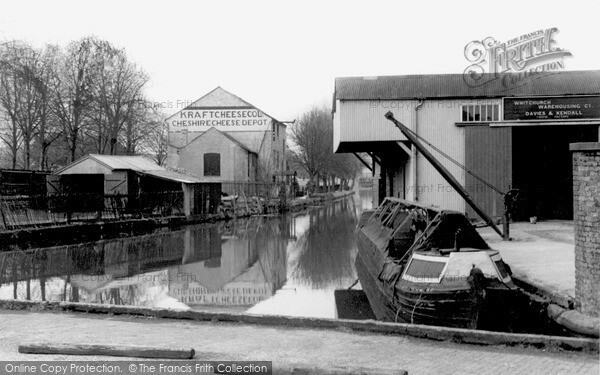 As a surveyor and engineer he was involved with the building of the Ellesmere Canal. William Turner was a freemason and a member of Lodge no.478 in Whitchurch, for which he designed furniture. It is known that, with others, he prepared plans and estimates for the Pontcysllte aqueduct. Read what this Wrexham website has to say about his involvement. Did you know that Whitchurch had a connection with Charles Dickens ? The author Mrs Elizabeth Turner who wrote cautionary tales for children died in Whitchurch in 1846. The wood-engraver who created the illustrations for her books was called Samuel Williams. Samuel Williams also illustrated “The Old Curiosity Shop” for Charles Dickens.